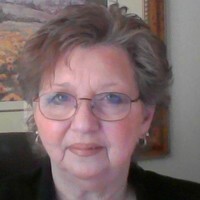 My name is Theresa Eschmann I have been counseling for over 16 years. I have a Master’s degree in Rehabilitation Counseling, licensed in Missouri as a Professional Counselor, and a Nationally Certified Master Addiction Counselor. I am know as a Addiction Family Specialist working with families experiencing difficulties with substance abuse, as well as other addictive issues and mental health complications. I work with individuals who have marital/relationship issues, codependency issues, and stress-related job issues. My treatment theories - CBT (Cognitive Behavioral Therapy), DBT (Dialectical Behavioral Therapy),and other theories. I am a member of the American Counseling Association, EAPA, and NAADAC. I truly believe in the opportunity for positive change in our life if given the right skills. And because you are seeking that positive change, I believe you will develop the skills needed that’s right for you.